A cold and quite rainy winter followed by a quite regular spring. Regular phenological phases and vigorous vegetation. The summer was hot but not stiflingly so. 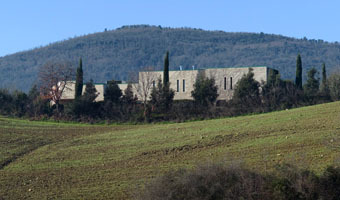 The harvest began on the 4th of September and continued through until the 10th of October. Work was suspended in the middle of September due to light rain and to allow the Cabernet and Petit Verdot to ripen perfectly. The rather hot and sunny weather during the harvest allowed us to pick nicely ripened grapes which gave origin to thick and elegant tannins, typical of an important wine. The powerful character of the Petit Verdot, the feminine elegance of the Cabernet Franc and the wise support of the Cabernet Sauvignon come together in the beautiful balance of this vintage. 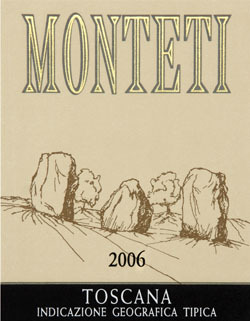 Good acidity makes Monteti 2006 very drinkable.